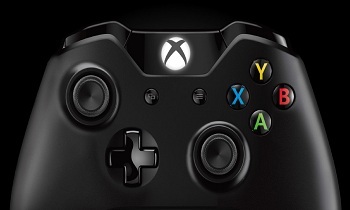 Microsoft's Albert Penello has affirmed the Xbox One to be import capable and region free. There were some who probably thought Microsoft was making a mistake when it originally announced the Xbox One would only be launching in 21 countries at the time of its release. CD Projeckt RED, the developer of The Witcher 3, for instance, found itself in the potential position of not being able to play its own game on account of its native Poland being one of the countries excluded. Making matters arguably worse, Microsoft revealed yesterday that it was scaling back the console's launch even further, reducing the 21 to a sparse 13. That being the case, according to Microsoft's Albert Penello, if gamers around the world are truly intent on getting an Xbox One, importing is always an option. "All games are [world wide] signed," he said, replying to a NeoGaf forum thread. "The console will work everywhere." He would elaborate that, despite the console's limited launch, users around the world would still have access to its various digital stores. "You can use one of the 13 digital marketplaces corresponding to our launch markets, assuming you have a valid payment instrument for those countries." Even with this is as an option however, he suggested gamers "[wait] for the official supported launch in affected markets for the best experience." Penello also offered further clarification about the cause of the diminished launch, assuring people that "launch volumes" weren't an issue. "This was simply a software issue in terms of getting local language and voice support in the dash. it's pretty straightforward, but disappointing I know for people who are missing launch." So the question now, is what do you all think? If you live in a country being skipped over by the Xbox One's initial launch would you consider importing it? Will you wait? Or do you perhaps see this as a reason to give the PS4 a try?